"The fine-grained sandstone of Moel-y-ci near Bangor, where I found the specimen here figured [see above] is also well worth search and an earnest and hopeful examination will often detect markings that escape us when we have reeason to believe the field a barren one." Preliminary note on some unrecorded exposures of the quartz-felsite in N.W.Caernarvonshire by A.B.Badger Geological Magazine 1908-9 pp.261-65. 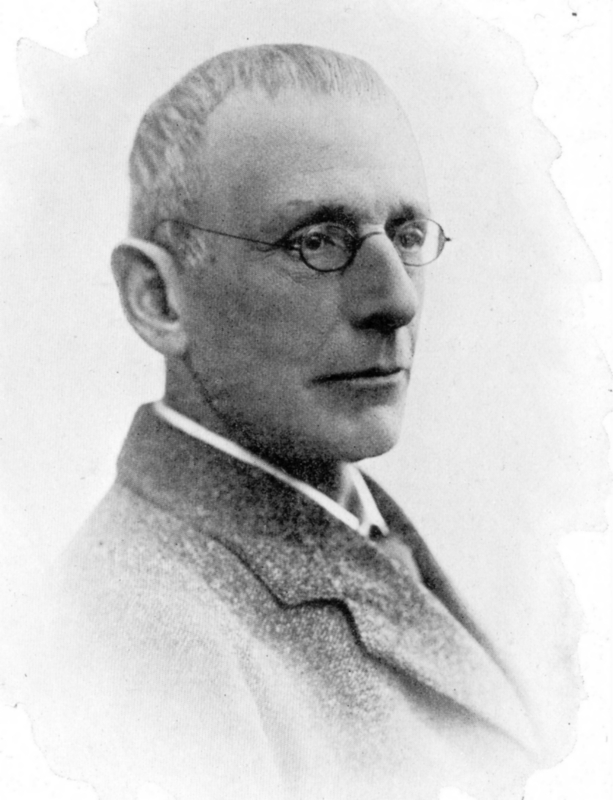 "During an investigation of the rocks of North-West Carnarvonshire older than the Llanberis Slates, the detailed results of which I hope soon to publish, I have discovered certain exposures of quartz-felsite which are not marked as such on the maps of the Geological Ordnance Survey [sic], nor have been described as far as I know, by other observers. Reference to maps 75 N.W., 78 S.W. and 78 S.E. of the 1-inch-to-the-mile Geological Survey, or to Sheet 7 of the Geological Index Map, will show that in the area stretching from Bangor and Bethesda on the north-east to the Vale of Nantlle on the south-east two bands of quartz-felsite are marked, the one extending from Bangor to Carnarvon, the other from the Penrhyn Slate Quarry through Llanberis to the village of Llanllyfni. As is well known, these rocks have been variously regarded as of Pre-Cambrian, early Cambrian and Post Cambrian age. The exposures which I desire to record lie to the west of the eastern band of felsite, and proceeding generally from north-east to south-west occur at the localities named below. This locality lies about 2.5 miles to the north-west of Penrhyn Quarry, the most northerly point at which the eastern band of quartz-felsite has been found hitherto. The outcrop is about 330 yards in length and 50 yards in breadth at its widest. It strikes 60 degres east-of-north and forms a low ridge. On the north-west it is covered by conglomerates and grits, while to the south-east there is low-lying swampy ground, the boundary on this side probably being a fault. The rock is grey in colour and at the south-westen end of the exposure near the farm buildings, flow-structure is well-displayed on the weathered surfaces; elsewhere, however, this is not so apparent. The microscopical characters are generally those of the Cwm-y-glo rock, but specimens from the eastern side do not show flow-structure and are much decomposed and brecciated. There do not appear to be any other exposures of the quartz-felsite between this point and those so well known near the north-west end of Llyn Padarn some five miles away." Some 8 or 9 tracts are now recognised. At Bangor there are two and [there is] an isolated one at Caernarvon; the rest are in the Tregarth country. On the older 25-inch maps, all of this was coloured as Cambrian but during the "25-inch" survey, the greater part of it had to be transferred to Arvonian, reducing the Cambrian to a group of outliers. The component rocks in Arvon are ... conglomerates, arkose, grit and slate. There is much conglomerate. Its pebbles, rarely less than two or three inches, may be as much as six inches in length. They are well and smoothly rolled. The great majority are of the rhyolites of the Arvonian but Gwna [Anglesey] quartzites are often present and in one case exceed the rhyolites in number. Foliated rocks of the [Anglesey] Mona Complex can usually be found by searching; in two cases are very numerous and are indeed the dominant component. The massive arkose of Twt-hill Bach [Caernarfon] is mainly composed of detritus of the adjacent granite of Twt. Reddish granites like it are, if looked for, to be found in conglomerates. There are also pebbles of bedded rhyolitic tuffs. Most of the conglomerates, where fresh and undecayed, are sufficiently indurated for their pebbles to break across under the hammer without falling out of the rock. These are of two classes. One is a felspathic type, commonly light in tint, which lies as beds within the conglomerates, is indeed a part of them. The other type is a greywacke, dark green, very tough, often massive and with a somewhat 'igneous' aspect. Many years ago, indeed, some of them were labelled as 'diabase' [basalt] by a petrologist of repute, whose experience in the field was less than in the laboratory. These grits, which are often coarse, are not infrequently rich in blue opalescent quartz. Its source is not yet known. 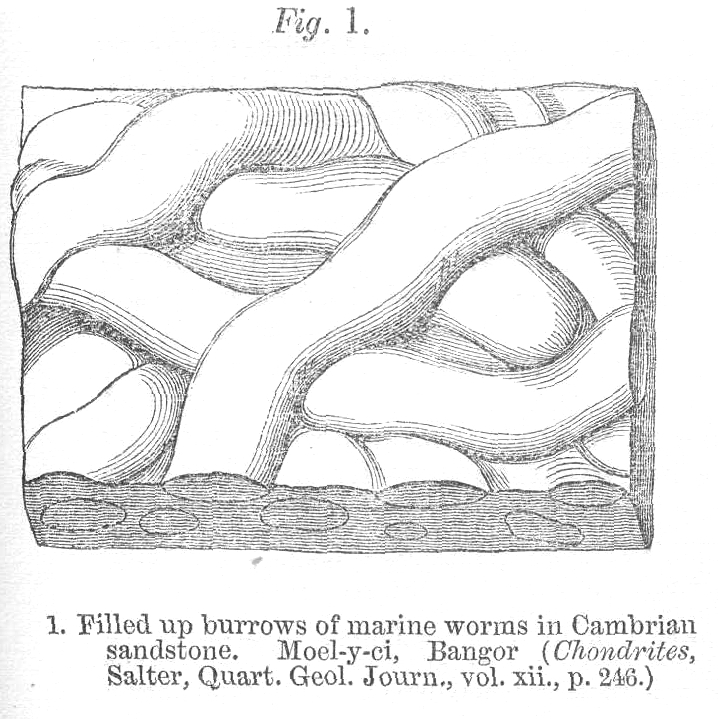 A study of this was made by Boswell for our joint paper on the peculiar grit of Berw [Anglesey] (Quarterly Journal of the Geological Society 1932). 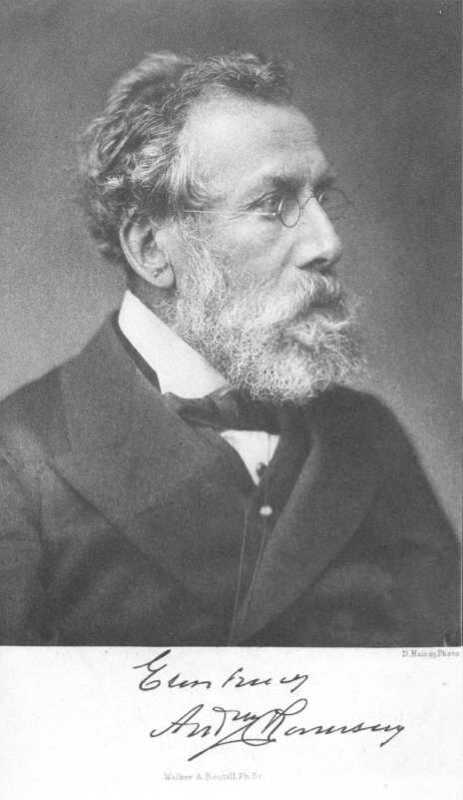 He found the process to consist in the development of authigenic minerals, most of which were chlorites of rather low birefringence but with a good deal of mica in very small flakes. It is to these authigenic minerals that the toughness of the rock is due. Can we find a date for this peculiar process? Until recently I supposed that it was a product, in the grits, of the compression which brought about the cleavage of the slates. Now I doubt this inference. For though the grits were too coarse to cleave, strains would be set up within them and minerals with a flaky habit, such as chlorites and the micas, would surely crystallise in the direction of that strain, as indeed we find in schists, but such is not the case. The process, accordingly, would seem to be earlier than the cleavage. Can we assign it to some cause? The fact that its minerals are devoid of 'orientation' may seem, at first sight, suggestive of thermal influence; but the few little sills and dykes are totally inadequate. So far, I admit that I am unable to think of a cause. The Cambrian age of the Bangor conglomerates has never been [a] matter of dispute, probably from their resemblance to the conglomerates of Llyn Padarn. More cogent evidence is now available. It has come to be clear from the 25-inch survey, that the grit of the Extensus [Ordovician graptolite species] zone sweeps unconformably across them. But if subsequent to Arvonian, and older than the Extensus zone by a considerable interval, what can they be but Cambrian ? The reasons for placing in [the] Cambrian the sediments of Twt-hill-bach, will be found in a forthcoming paper on "The Older Rocks of Carnarvon". In the country about Tregarth, the latest bed but one is a purple (or rather a red) slate, which is represented in the beds of the Penrhyn Quarry, and is certainly far below the green Solenopleura [a trilobite, originally named Conocoryphe but now placed in the genus Pseudatops] slate. Resting on it is a greywacke which may be the Bron-llwyd Grit, but is probably somewhat older. Thus, there need be no doubt that all these rocks are Cambrian. In Arvon proper, there is a total dearth of fossils, but just outside its limits, one or two fossils have been found. These are in a green slate at the top of the Penrhyn sequence, which has yielded a trilobite, Solenopleura viola. With regard to its true horizon, Mr Lake writes me, "Probably Middle Cambrian but no certainty. That is as far as I can go". Dr. Stubblefield, however, in collaboration with Professor Howell of Princeton, has made a re-study of the fauna of this bed (which includes several trilobite genera as well as other forms). Their results are not yet published, but Dr. Stubblefield kindly gives me permission to quote their opinion, which is that the character of the fauna is late Lower Cambrian. This, at any rate, is in accord with evidence of a stratigraphical kind. For even if it were Middle Cambrian, there is so thick a succession above it of proven Middle Cambrian, that it can hardly be higher than the base of that division. Dr. Mately, in his recent paper, places the Harlech Grits in Lower Cambrian, and while, in deference to certain objections, he had appended a "?" to this, he nevertheless (in his reply to the discussion) affirmed that he had little doubt that the assignment was correct. In such case, if the "Llanbedr Slates" be (as seems not improbable) equivalent to those of Penrhyn, then the sequence visible there must be very low in the system. Whence it would follow that the Tregarth red slates must also be Lower Cambrian, since they must be far beneath the Solenopleura bed. As for the Bangor conglomerates, I remember no suggestion that they can be anywhere but low in the Cambrian succession. To whatever formation the beds of Twt-hill-bach belong, they are without doubt its basement, so that, unless there be overlap in that direction, whereof there is no evidence, and which I have not heard suggested, they too must be very low. The lowest bed in the Tregarth country is the St. Ann's grit, which is of greywacke type. On it rests a thin pale slate, and on that a red slate, the outcrop of which is rather wide. Another tract of similar slate, half a mile long and rudely oval, lies to the south of Halfway Bridge. But nothing is visible, either above it or below it, so its relations are perplexing. The red slate, at its northen end, dips to pass under a large greywacke, which accordingly cannot be the grit of St. Ann's. Can it be the grit of Bronllwyd ? Possibly. Yet, were such the case, we ought to find, between them, the green slate with Solenopleura [a trilobite originally named Conocoryphe but now placed in the genus Pseudatops] viola. That, however, is not there, nor is there room for it. The greywacke may thin out between this place and the Penrhyn Quarry. From Bethesda to Llanllechid there is a range of abandoned quarries. Resting on their purple slates there is a greenish bed which is in the right position for the Solenopleura bed. Search in it might yield the fossils, and since cleavage is less intense than it is in the Penrhyn Quarry, they might well be less deformed. A mile south-west of Tregarth Station, by the farm of Ty'n-y-caeau, there is a small inlier of rhyolite, which was not known to exist until the 25-inch survey. Resting upon it is a conglomerate, 160 feet in thickness. Less than half a mile to its north, conglomerate is seen again, in a cutting on the railway half a mile west of Tregarth Station. Here the base does not emerge. This conglomerate appears to trend as if to meet that on the rhyolite inlier. The intervening country is deplorably obscure and the strikes of the two are not the same, but are almost at right angles, so their relations are perplexing. The conglomerate of the inlier is traceable east-north-east to Pandy. Southwards from Pandy, conglomerate ranges for nearly half a mile, dipping off Arvonian tuffs between it and the rhyolite. The relations of these conglomerates are not as clear as might be wished. Their dominant pebble is rhyolite, though some of a reddish granite very like that of the Twt can usually be found by searching. In view of the nature of the pebble (E.15382 [Greenly's system of cataloguing specimens]) there is little doubt that they are of that granite. The broad summit of this very conspicuous hill, which rises to a height of 1,344 feet, is occupied by a large outlier of a light felspathic grit, two-thirds of a mile in length and one quarter mile across. At its west end, its base is at the level of 1,186 feet, but at its eastern end [it] is at less than 1,000 feet, so that it has an inclination. Nor is it a simple capping; dips are somewhat undulating, besides which, in the midst of it, are two little inliers of the Arvonian tuffs. The horizon of this grit is not easy to determine, for with whatever formation of Arvon we attempt to correlate it, some perplexity emerges. Certainly it is not Arvonian, since it rests upon the tuffs with visible unconformity. Ordovician it cannot be, for where less than two-thirds of a mile apart, it and the Extensus grit show quite different characters: the Extensus is not so coarse and is very much more siliceous and [later amended by Greenly to while it] is rarely free from undulating, shaly films whereof there are none at Moel-y-ci. The Ordovician grit, moreover, is very persistent in its characters from end to end of Arvon. Can it [the Moel-y-ci grit] then be Cambrian? The only Cambrian grits that resemble it in the least are the light felspathic ones mentioned in our 'Petrology' paragraph. But these are in every case interbedded in the conglomerates, of which, indeed, they are integral parts, whereas on Moel-y-ci no conglomerate has been seen, only a pebble here and there. So it appears not to be Cambrian. [At this point, in his own copy of the printed version of this paper, Greenly has added a hand-written marginal note] "The few pebbles are, if I remember aright, of a venous quartz like that of ... the Mona Complex [Anglesey]. I think my memory must be correct for if they had been pebbles of something more kinspeckle [a Scottish term denoting something like the appearance of a granite] that would have impressed me more". One hypothesis seems to remain though stigmatizeable as far-fetched, one may perhaps admit. Can it be a surviving fragment of one of the formations that, elsewhere, were destroyed by waste in the course of the unconformities? In such case, we have choice of two: the Cambro-Ordovician interval and the Arvonio-Cambrian interval. If the first-named, it [the M-y-C grit] must be Upper Cambrian, but it is totally unlike anything in the Tremadoc beds. If the second-named, then it would be something sedimentary, not volcanic, subsequent to the volcanic Arvonian, but older than the Cambrian. And since we have no experience anywhere else of any such formation, there is at any rate nothing tangible that can be urged against this view." "Most of the Cambrian of Arvon has the Caledonian strike which is dominant in Snowdonia. But there is a tract at Tregarth about a square mile in extent, where the beds trend in any direction; that is, have no strike at all. Nothing in the beds themselves is any explanation whatever: there seems no reason for this anomaly. We have to seek an explanation in the underlying floor, and there, I think, we win some light. That floor has more than one component: Mona Complex [Anglesey rocks] and Arvonian. In the Chapter of the Anglesey Memoir [Greenly 'Memoirs of the Geological Survey England & Wales Anglesey 2 vols. HMSO 1919] on the age of the Mona Complex, I have thrown out a suggestion (then in explanation of nothing but the pebbles [in the Early Cambrian conglomerates of Arfon]) that hills of Gwna [a stage in the Anglesey Monian] Quartzite stood up through the Arvonian lavas. Now, in the great conglomerate of the crest and dip-slope of Y Parc, pebbles of quartzite are so numerous as to outnumber those of the rhyolite. It seems legitimate to infer that underneath this Tregarth tract, these buried knobs of quartzite were exceptionally numerous and exceptionally high, and made the sub-Cambrian floor so uneven that the beds which rested on it could not acquire the usual strike but were driven hither and thither, in all sorts of irregular ways. The same irregularity, though to a somewhat less[er] degree, affects the Arvonian tuffs themselves."